For years, we've been using yearly building themes to infuse a bit of fun into the school year. I announce the next year's theme to the teachers in late May or early June. They begin to plan how they will tie their classroom decorations or bulletin boards to the theme. When I send out my Back-to-School letter to my staff, I describe the year's theme as well. Several years ago, we began to generate excitement among our middle schoolers by staging a year-long competition between grade levels. We rewarded the grade level that made the greatest average student growth, as measured on our standardized test, with a well-touted field trip in May, a trip we tried to relate to our theme. Every three months, at our quarterly Renaissance Rally, we attempted to psyche kids up for winning the year-long competition. It was easy to get fired up about our district's literacy initiative. Teachers' hallway bulletin boards sprouted flames of fire and red hot inspirational slogans. The reward field trip was an interactive tour of Johnson County Community College followed by a picnic lunch and play at Shawnee Mission Park. Winners also got "bragging rights" t-shirts. During this special school year, we enjoyed a remarkable partnership with Gear Up, the national program developed to inspire under-resourced students to go to college. Gear Up supported several school-wide programs to help students develop college strong habits. We taught a curriculum called Organizing Together and a curriculum called Possible Selves in weekly advisory classes. 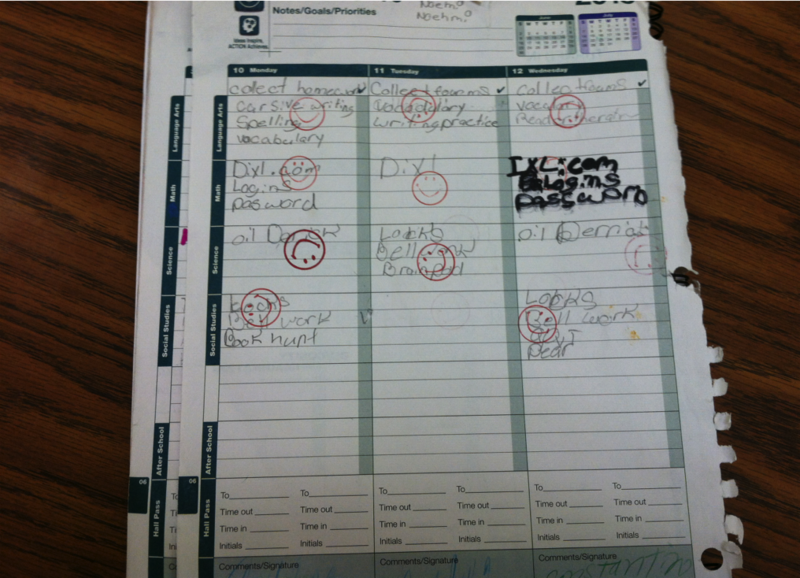 Teachers stamped students' agendas when they came to class prepared with necessary supplies and completed homework. Every two weeks, students who earned 90% of the possible stamps received a small reward. Gear Up funded our reward field trip that year. We took winning students to the Tucker Leadership Lab on the William Jewell College Campus in Liberty, Missouri. They enjoyed team-building activities, lunch on campus, and a college tour. 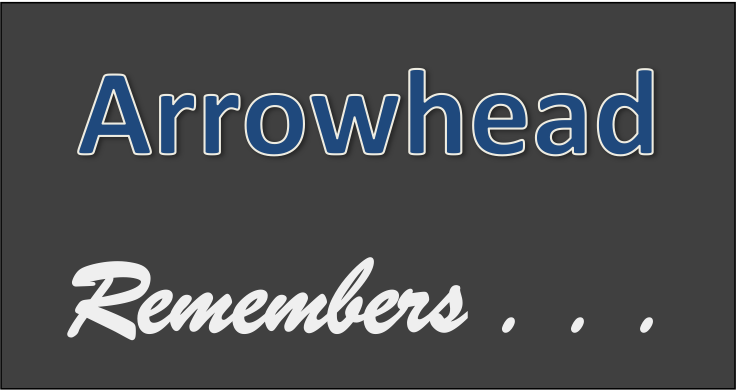 Arrowhead Remembers . . . This theme was more serious than it was fun, but it held a great deal of meaning for our students before the year was over. Even though the majority student population of our school is African-American, our students did not know a lot about the history of civil rights. Our eighth-graders read Warriors Don't Cry, the account of the Little Rock Nine, students barely older than them who risked their lives integrating their city's enormous high school. Our sixth-graders read The Watsons Go to Burmingham. Because our second largest ethnic group is Mexican, and because I wanted all students to understand that Hispanics (and really, every people-group of color) faced race-based hatred and discrimination, our seventh-graders read Breaking Through. Breaking Through is the autobiographical story of Francisco Jimenez, who grew up in a poor migrant family and was the first in his family to go to college. He became a teacher and a writer. The reward field trip that year, was a visit to the Brown vs. the Board of Education Historical Museum in Topeka, Kansas, and a campus visit to Washburn University. March Madness . . . I try to stay conscious of our young male students' interests since so much of their education is designed and delivered by females. It seems like nearly everybody at our school loves basketball. 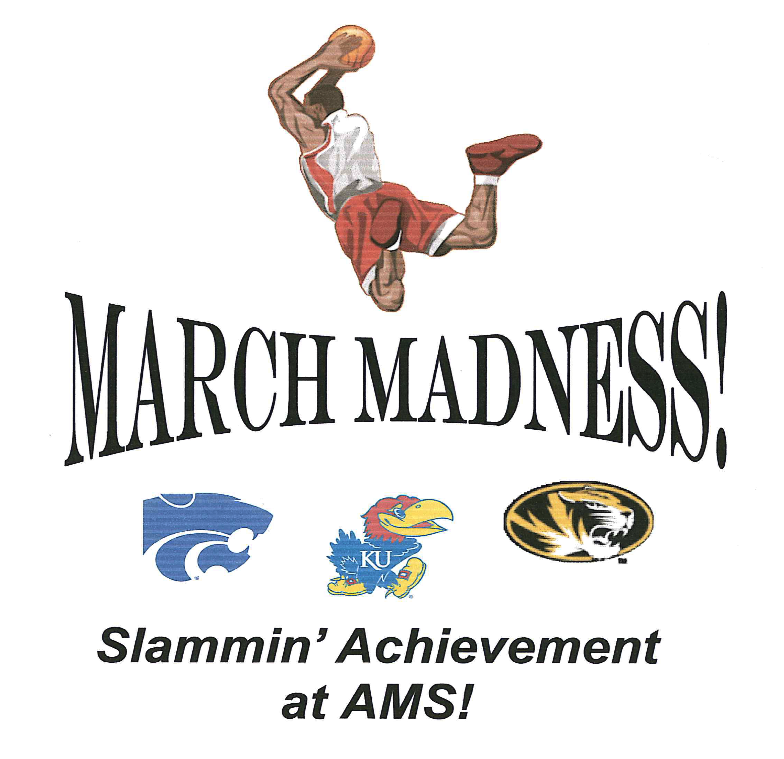 Since we are located in Kansas City, Kansas, the teachers and parents enjoy an informal, yet heated, rivalry between K-State fans and KU fans. We KU fans really thought our team had a great chance of winning the popular NCAA tournament that year so we formed our theme around March Madness. Our students loved how passionate the adults became about their teams. Jayhawks and Wild Cats showed up everywhere - on computer screens, bulletin boards, and clothing. The reward field trip was carefully planned in September. In May, 150 students and a dozen adults visited the then-new, interactive Student Athletic Center, as well as the home court at Allen Field House in Lawrence, Kansas. They thoroughly enjoyed their campus visit to the University of Kansas. There's No Place Like School . . .
Dorothy learns a lot about herself on the road to the Emerald City in the wonderful land of Oz. 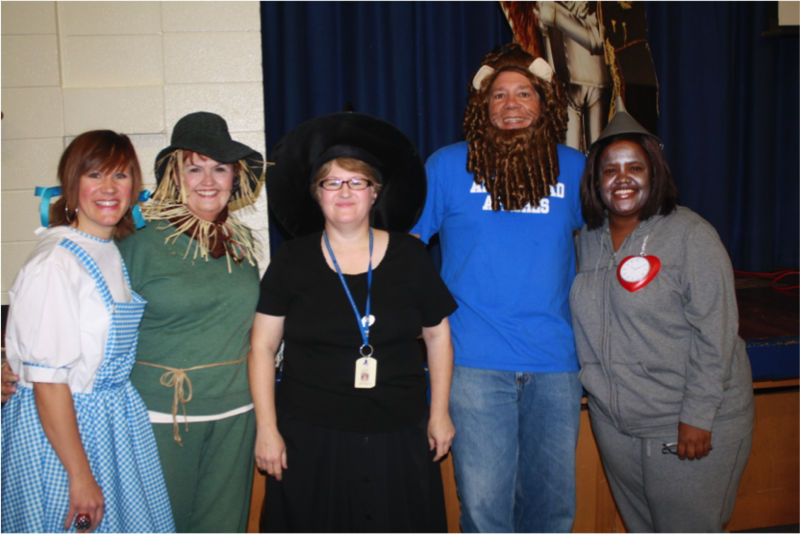 On the first day of school the year of our Wizard of Oz theme, students found several Tin Woodmen, Cowardly Lions, Scarecrows and Dorothy Gales in the main office and classrooms. Our campus officer directed traffic on the first day of school dressed as the Mayor of Munchkin City. My assistant principal was Glynda the Good, and I wore a yellow-brick road costume. Throughout the school year, the characters showed up at pep rallies and even performed a customized version of the journey toward academic excellence based on this popular story. The characters had to overcome all forms of evil, represented by the wicked witch and several flying monkeys. Our reward field trip that year was flat-out middle school fun - a visit to an amusement park including a huge arcade, miniature golf, go-carts, and a pizza lunch. We called it our trip to the Emerald City, but it was really Cool Crest Family Fun Center.